Just Shutters are your Locks Heath plantation shutters experts. Locks Heath and Fareham benefit from some of the finest weather in the UK, this and the superb surroundings mean homeowners want to make the very most of their windows, views and that wonderful climate! Whether you own a traditional village property, or a modern townhouse, Just Shutters have the perfect solution designed specifically for your home. 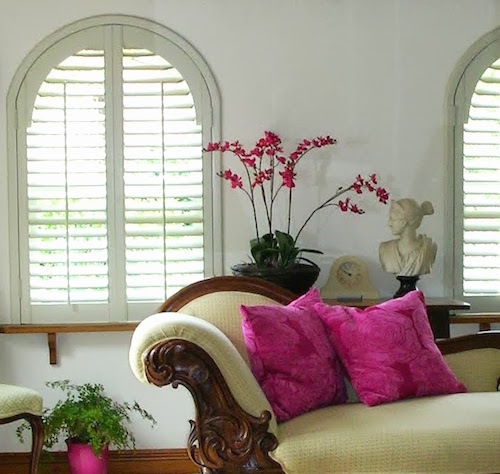 From bright white, light enhancing shades, to traditional warm solid wooden textures, our plantation shutters offer the perfect, unique window solution for your home. · And of course style! Our local experts are on hand to guide you through what shutters are, and how exactly they can improve your home. Call us now on 01202 240769 for a free consultation in which all your questions will be answered and you will be given a demonstration of what shutters will look like in your home. Please call us on 01202 240769 or book a home design visit online. You can also see our shutter pictures for inspiration, our online shutter price calculator for an estimated cost.